As Christians we are very familiar with the concept of sin. We hear about it in sermons, read about it in the Bible, and feel it’s effects in our world. We know that it’s destructive and that God wants us to live holy lives. But there are things God wants us to avoid which are not sin in and of themselves. On their own, they may be morally neutral or even socially acceptable, but for us they are a snare. They hinder from running our race well. What are these things? Well, that depends on who you are. Each of us has a unique blend of strengths and weaknesses. For me, video games are a hindrance. I love them and enjoy the challenge of beating them. But I’ve discovered I simply can’t handle having them in the house. They consume too much of my time and attention and totally feed off of my addictive personality. I know there’s nothing inherently wrong with them; they’re just wrong for me. Hindrances are sneaky because you’re not likely to get called out on them by anyone but the Holy Spirit. Others will look at you and think you’re just enjoying yourself, but you and God will know something’s off. Paul thought of himself as a spiritual athlete and encouraged others to do the same. He knew that the Christian life was a race, a fight, a struggle – something to be disciplined in. Training and performance mattered then, and they matter now. We cannot run well if we are weighed down by distractions. So let me ask, what are the hindrances in your life? 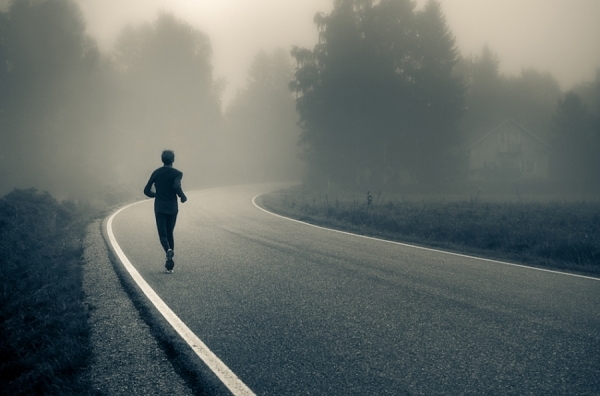 What takes your eyes off of Jesus and keeps you from running well? Ask the Holy Spirit to show you if there’s anything that’s holding you back from the life you are meant to live.